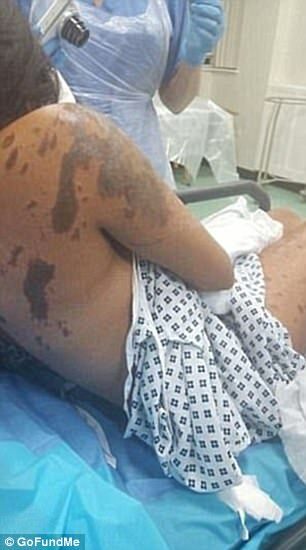 An aspiring model who was doused with acid in an horrifying and unprovoked attack has made her first TV appearance after vowing to move on from her terrifying ordeal. 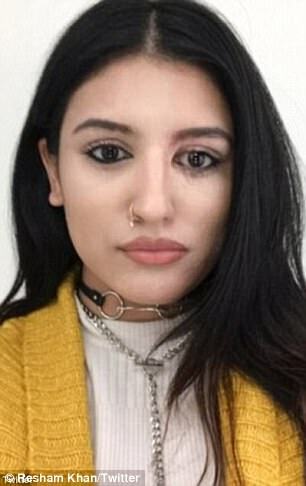 Resham Khan, 21, suffered severe and life-changing facial scarring after being doused with corrosive fluid by by John Tomlin, 25, in East London in June, as she and her cousin sat at a red traffic light in their car. 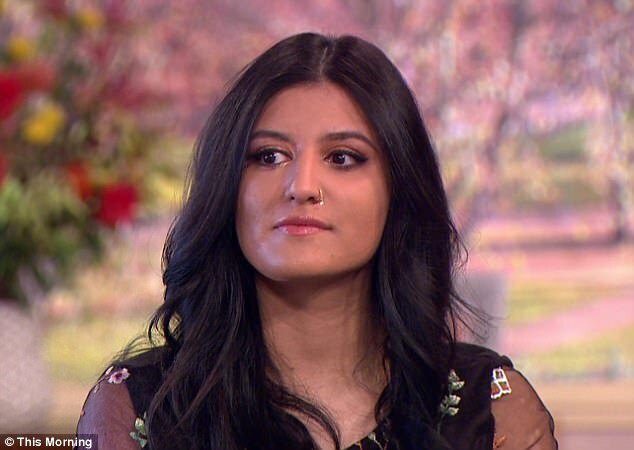 Miss Khan, who is a student in Manchester and dreamed of being a model, appeared on This Morning on Thursday and recalled the 'unbearable pain' she felt in the wake of the attack, which occurred on the morning of June 21 in Tollgate Road, Beckton. She told hosts Holly Willoughby and Phillip Schofield she would 'never understand' Tomlin's unprovoked attack, but said she refused to 'let it break me'. 'I have my good days and my bad days,' she said, adding that an influx of support from wellwishers around the globe - as well as that of her own friends and family - had strengthened her resolve to move on. 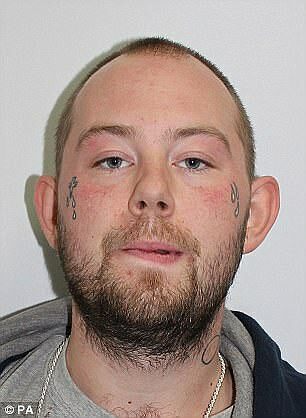 The man behind the attack Tomlin, hurled the corrosive fluid at Miss Khan and her cousin Jameel Muhktar, 37, as they sat in their car at a red traffic light in Beckton, east London. The attacker pursued the cousins as they tried to escape, until they crashed their car and he fled the scene. Mr Muhktar was so badly burned in the incident he was put in an induced coma. He was left deaf in one ear, damage to his right eye and extensive burns to his upper body, arms, legs, back, neck and face. Tomlin initially admitted causing grievous bodily harm, but has since admitted the more serious charge of grievous bodily harm with intent. He is yet to be sentenced. A motive for the attack is yet to be given in court during his trial, but Tomlin has been previously sectioned under the Mental Health Act and has been prescribed anti-psychotic medication. Police have previously said there was 'nothing to suggest the attack was racially motivated'. 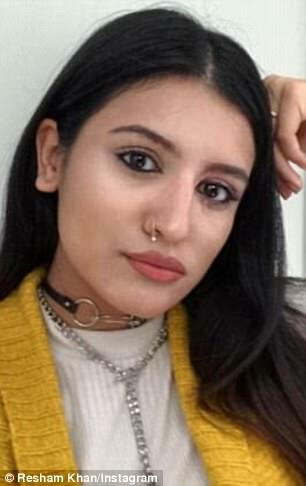 Miss Khan, who studies at Manchester Met university, has had three skin grafts so far and her eyesight is permanently damaged. She had just returned from an exchange year to Cyprus when the attack happened. Miss Khan explained how she had been put under a cold shower as soon as she arrived at hospital and the pain was so unbearable that she didn't want to leave the water that was rinsing away the acid. 'I remember I was praying in the shower to die, I was completely praying to die,' she recalled. The student, who has said she has suffered breakdowns since the attack, has been sharing her journey to recovery on a blog, and last month shared a new picture on Twitter to show it was 'time to stop hiding'. 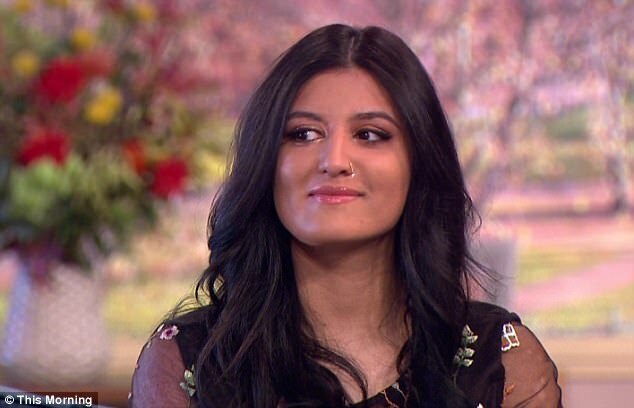 Miss Khan said the reason she wanted to speak out on This Morning was to show that she was moving on with her future. 'The point I wanted to make was if I can face myself so can many other people. That's why I am proceeding the way I am with my future. Tomlin had earlier admitted causing grievous bodily harm to the pair but in court earlier this week, he admitted the more serious charges of causing grievous bodily harm with intent on the first day of his trial on November 27. He changed his pleas to guilty before the jury were sworn at Snaresbrook Crown Court. Tomlin, who has six teardrops tattooed on his face, could now face the maximum sentence of life imprisonment when he is sentenced in January. On her blog Resham explained since the attack how she had been 'too petrified to walk to my local shop'. 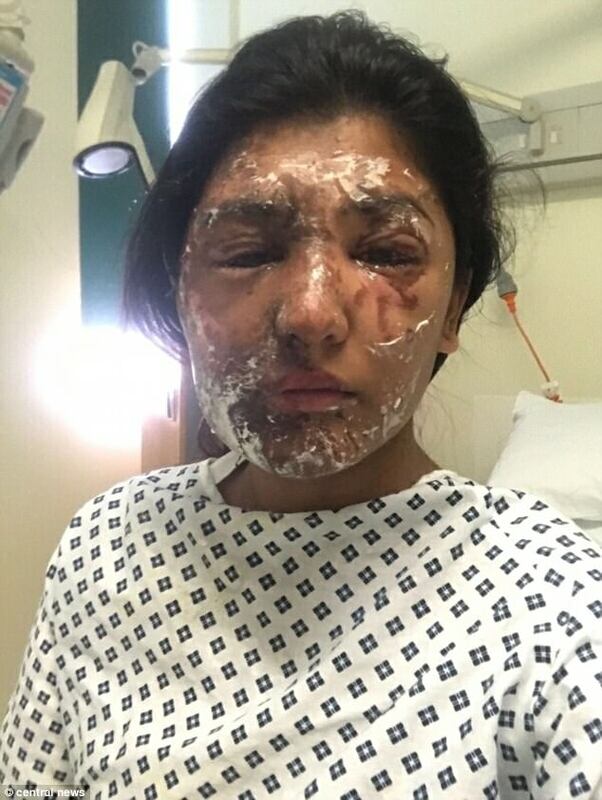 She also said she has suffered from breakdowns in her road to recovery, and added her voice to petition to strengthen sentences of acid attackers. Tomlin targeted Miss Khan through the passenger window before moving round to the drivers side. He then threw more of the acid at Mr Muhktar. The two victims tried to drive off, pursued by the attacker before their car crashed into a fence and the man fled the scene. The cousins were left with horrific neck and face injuries and were treated in hospital. Mr Muhktar was so badly burnt he was put in an induced coma.